Solarplaza has compiled an overview of the top 25 solar PV plants in Southeast Asia with the purpose of showing the market potential of solar power in the developing region, but therefore excluding the more advanced and developed solar markets in China, India and Japan. This list of solar PV plants comes in preparation of our 2-day conference, Unlocking Solar Capital Asia & Financial Summit, set to be held in Singapore on the 1st and 2nd of November, 2018. In Southeast Asia, most of the countries are experiencing rapid economic growth, but not without challenges. The region’s gross domestic product (GDP) reached USD 2.5 trillion in 2016 and is currently growing more than 4% per year. Its population of 644 million people (as of mid-2017) accounts for 8.5 % of the global total and its expected to grow to 722 million by 2030 and 789 million by 2050. Southeast Asia is not only one of the fastest-growing consumer markets in the world, but it also has become a major manufacturing and trading hub. With a fast growing population, the region faces a range of demographic, social and energy challenges. The energy demand in Southeast Asia is increasing fast due to a sharp rise in industrial activities, growing populations and rising incomes. Despite the region’s abundant renewable energy resources, strong reliance on fossil fuels for power generation has been contributing to rapidly rising greenhouse gas (GHG) emissions, which present a major policy challenge in the context of global climate targets. Therefore, a key objective for the region’s governments is to ensure an affordable supply of energy for all citizens and businesses. This can be seen by the support given from both a regional and national level towards renewable energy investments, especially bioenergy, wind and solar photovoltaics (PV). 1	 Cadiz Solar Power Plant	 132.5	 Philippines	 F.O. F.O. F.O. F.O. 2	 EA Solar Lampang	 128.0	 Thailand	 F.O. F.O. F.O. F.O. 3	 EA Solar Nakornsawan	 126.0	 Thailand	 F.O. F.O. F.O. F.O. 4	 SSE1 Solar PV 1 – 10 Power Plant Project	 104.7	 Thailand	 F.O. F.O. F.O. F.O. 5	 EA Solar Phitsanulok	 90.0	 Thailand	 F.O. F.O. F.O. F.O. 6	 Nakhon Sawan solar PV	 90.0	 Thailand	 F.O. F.O. F.O. F.O. 7	 Lopbuir PV Solar Power Plant	 84.0	 Thailand	 F.O. F.O. F.O. F.O. 8	 Negros Island Solar Power Plant ( SaCaSol )	 80.0	 Philippines	 F.O. F.O. F.O. F.O. 9	 Calatagan Solar Plant	 63.0	 Philippines	 F.O. F.O. F.O. F.O. 10	 Toledo Solar Project	 60.0	 Philippines	 F.O. F.O. F.O. F.O. When it comes to project financing, solar PV continues to lead non-hydro renewable energy investment in the Southeast Asia region, according to the International Renewable Energy Agency’s (IRENA) 2018 report on the region’s renewable energy market. Given the abundance of solar resources, its increasing cost-competitiveness and its rapidly developing market, investment in solar projects totalled USD 892 million in 2016. The following section will look at the top 25 operational solar PV plants in the Southeast Asia region. 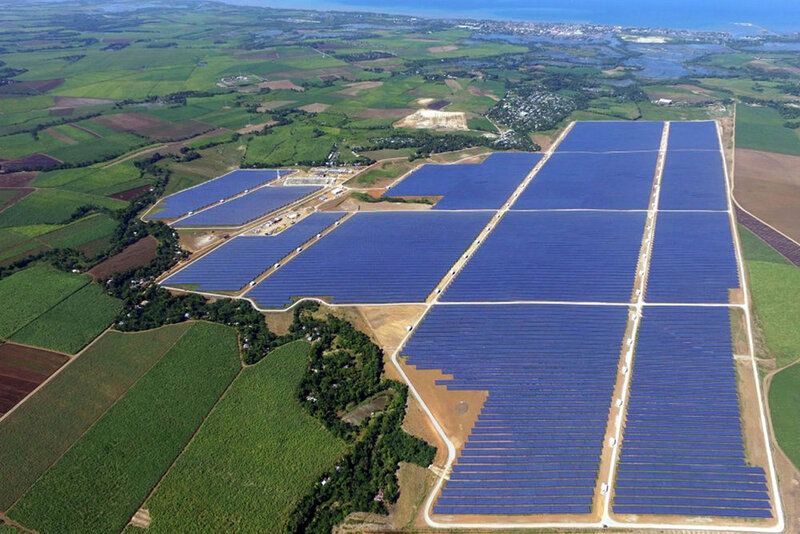 The biggest operational solar PV project to date in Southeast Asia is the 132.5 MW Cadiz Solar Power Plant located in the province of Negros Occidental in the Philippines. The plant is owned by Helios Solar Energy Corporation and is being operated and maintained by Bouygues Construction. The Philippines has enjoyed large growth in PV installations in the past few years, with more than 881 MW of newly added capacity installed since 2014. This was mainly the result of the introduction of the country’s initial feed-in-tariff (FiT) of USD cents 23/kWh in 2014 and its subsequent revision to USD cents 17/kWh in 2017. The country currently has around 903 MW of grid-connected installed solar PV capacity and expects around 3 GW of installed capacity to be connected to the grid by 2022. With 12 ranking plants, The Philippines is the biggest contributor to this Top 25 overview in terms of amount of plants. In terms of capacity (625.3MW in total represented here), it still has to give way to Thailand. 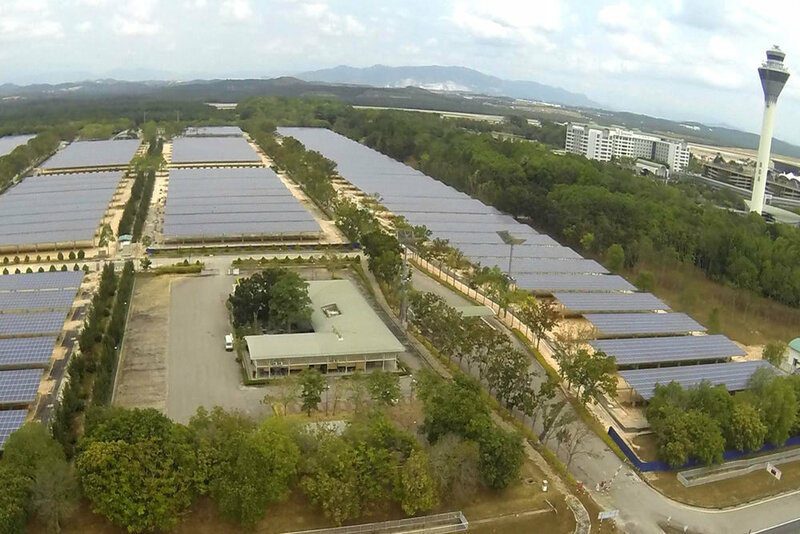 Thailand was found to have 11 operational solar PV projects ranked in our top 25. Although it has less ranking plants than The Philippines, it makes up for it in combined capacity, as its 11 plants have a chart-topping combined capacity of 729.4MW. 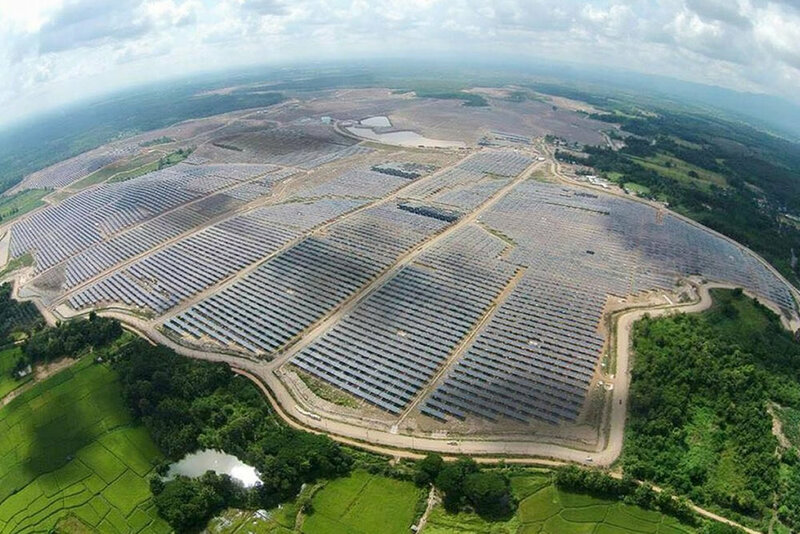 The country’s largest project is the 128 MW EA Solar Lampang project located in the Lampang province in northern Thailand. The project was designed and is being operated by Energy Absolute Public Company Limited, which has developed 4 projects ranked in our top 25 ranked projects. Another noteworthy project ranked in our top 25 is the SSE1 Solar PV 1 consisting of 10 solar PV plants spread out across Kanchanaburi and Suphanburi with a total capacity of around 105 MW. Besides that, Thailand has the largest share of installed solar capacity in the region amounting to 2,697 MW, which is a huge leap from its capacity in 2014 that only amounted to 1,299 MW. Thailand’s government has been very supportive in promoting solar PV and has made sure to put in place a strong national policy towards renewables and favorable regulatory instruments. According to Eric Ho, director at Renewable Energie Singapore, one of the reasons for the country’s immense growth is due to the government’s plan to offer the highest FiT subsidies to solar energy projects. Increasing the duration of the power purchase agreement (PPA) from 10 to 25 years also helped to boost the attractiveness of investments. Things are looking very bright for Thailand for the coming years as the country aims to install 6 GW by 2036 in order to reach its overall target of 30% of renewables in its energy mix. Despite only having one project ranked in our top 25 list, Malaysia’s solar PV market has been growing slowly and steadily. The country’s largest active project is the 19 MW Kuala Lumpur Airport Solar Plants developed by SunEdison and owned by Malaysia Airports Holdings Berhad. Furthermore, there is still around 563 MW of capacity that has been auctioned and is expected to become operational in 2019 and 2020, according to the Malaysian government. The country’s installed solar PV capacity grew since 2011 around 30% each year, from 14 MW to 362 MW in 2017, with additional plans to have a total installed solar PV capacity of 500 MW by 2020. The growth was caused by Malaysia’s FiT scheme implemented in 2011, and by the country’s fiscal support given to the solar market. The fiscal support given allows for solar systems to become eligible for a capital allowance enabling tax deduction over a period of six years. Cambodia came in fourth in terms of top 25 solar projects, with only one project being ranked in the top 25 list. The 10 MW Svay Rieng PV solar farm became Cambodia’s first utility-scale solar plant when it was commissioned in August 2017. In that same year, 2 huge solar projects were announced to have gotten approval for development, one 100 MW solar park program and one 225 MW solar plant located in the Kampong Speu province. The Asian Development Bank has been quite active in Cambodia offering help and financial support to both the 10 MW Svay Rieng PV Solar Farm, as well as the 100 MW solar park program. Global Purify Power (GPP), a joint venture between Cambodian, Laotian and Thai investors, has already started construction on the first phase (15 MW) of the 225 MW solar plant. When finalized, the two projects will contribute to 325 MW of solar PV capacity and will provide an increase of more than 10 times the current installed PV capacity of 27 MW. Overall, the Southeast Asia region has seen some impressive growth in a short amount of time. When it come to Thailand, the country was able to rank 729 MW out of 2697 MW in our top 25 list, meaning that most of the installed PV capacity comes from solar installations below 8 MW. Philippines, on the other hand, was able to rank 625 MW out of 903 MW, reflecting a higher proportion of solar projects above 8 MW, compared to Thailand. Malaysia only ranked 19 MW out of 362 MW in our top 25. This was the result of the Malaysian government’s plan to limit project capacity to between 1 and 30 MW to incline bidders to apply for large-scale projects. Last but not least, Cambodia ranked 10 MW out of 27 MW mainly due to the fact that the country does not have a FiT scheme in place and the lack of fiscal incentives towards solar. The future of the region will depend on a couple of factors: the decreasing price of solar modules, the increasing demand for solar-plus-storage and the future balance-of-system cost reductions. Several Southeast Asian nations are gearing up for increased solar investment as a result of these factors, with each country taking its own unique path. It will be interesting to see how the region develops in the coming years, especially with all of the massive plans in the pipeline. Regardless of all the risks and challenges, one thing is certain. The whole world will be watching closely to see how one the fastest growing regions in the world will satisfy its rapidly growing energy needs by transitioning towards renewable energy sources.